A substance found in cannabis may be a faster-acting antidepressant than conventional medications. A new study, published in the journal Molecular Neurobiology, has found that cannabidiol (CBD) induces sustained antidepressant-like effects in mice. “Depression is a serious mental illness which affect more than 300 million people worldwide, being considered the first cause of disability in many developed and undeveloped countries,” said study author Samia Joca of Aarhus Institute of Advanced Studies and University of São Paulo. 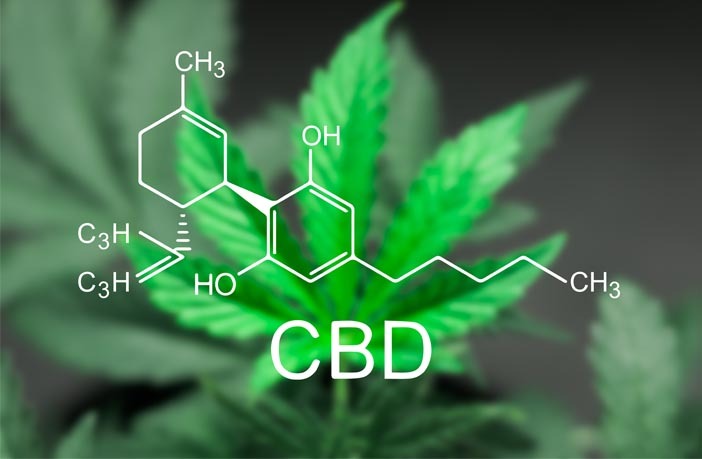 “In this scenario, CBD emerges as an interesting compound, since it has shown large-spectrum therapeutic potential in preclinical models and clinical trials. Therefore, we became interested in evaluating CBD effects in different animal models of depression with the aim to better characterize its potential as an antidepressant drug, as well as study its underlying mechanisms,” Joca explained. “We showed that CBD increased animal’s resilience in stress models of depression, thus indicating an antidepressant-like effect. Moreover, this effect developed rapidly, within one hour, and remained for a week after a single administration, which is not the case for conventional antidepressants,” Joca told PsyPost. “Since CBD’s effect is blocked when BDNF signaling is blocked in the brain, our results suggest that CBD promotes fast neurochemical and neuroplastic effects in limbic brain regions, which might favor stress coping strategies and resilience to depression development,” she said. In another rodent study, Joca and her colleagues also found that the antidepressant-like effect induced by CBD were dependent on levels of the neurotransmitter serotonin. The study also indicated that CBD could enhance the effectiveness of traditional antidepressant medication. “We showed that small doses of CBD allowed the effect of small doses of serotonergic antidepressants, such as fluoxetine, to be effective. This indicates that co-administering CBD with serotonergic antidepressants might contribute to the use of smaller doses of the latter, thus decreasing their side effects, without compromising the antidepressant effect. This is a strategy to be further explored in other studies and in the clinical setting,” Joca explained. That research appears in Progress in Neuro-Psychopharmacology and Biological Psychiatry. Together, the findings suggest that CBD holds promise as a potential aid for depression. However, more research — including studies on human participants — are necessary before it becomes an accepted treatment. The mechanisms behind CBD’s antidepressant effects are still poorly understood. “It is important to highlight that CBD is only one amongst the many phytocannabinoids present in the plant Cannabis sativa and it is devoid of psychostimulant effects and abuse liability,” Joca added. The study, “Cannabidiol Induces Rapid and Sustained Antidepressant-Like Effects Through Increased BDNF Signaling and Synaptogenesis in the Prefrontal Cortex“, was authored by Amanda J. Sales, Manoela V. Fogaça, Ariandra G. Sartim, Vitor S. Pereira, Gregers Wegener, Francisco S. Guimarães, and Sâmia R. L. Joca. The study, “Hippocampal mammalian target of rapamycin is implicated in stress-coping behavior induced by cannabidiol in the forced swim test“, was authored by Ariandra G. Sartim, Amanda J. Sales, Francisco S Guimarães and Sâmia R.L. Joca. The study, “Antidepressant-like effect induced by Cannabidiol is dependent on brain serotonin levels“, was authored by Amanda J. Sales, Carlos C. Crestani, Francisco S. Guimarães, and Sâmia R.L. Joca.